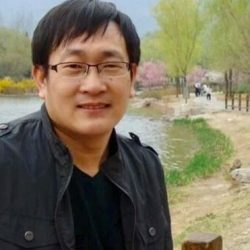 BHRC has joined a statement with 31 other organisations calling for the acquittal of Wang Quanzhang, a prominent Chinese human rights lawyer arrested during the 709 Crackdown. On 28 January 2019, Mr Wang was found guilty of “subversion of state power” and sentenced to 4 years and 6 months in prison and 5-year deprivation of political rights by the Tianjin Municipal No.2 Intermediate People’s Court. Mr Wang’s prosecution is connected with the 709 Crackdown, a nationwide programme of arrests beginning on 9 July 2015. During the period of a few weeks, nearly 250 Chinese human rights lawyers, their staff and human rights defenders were arrested and detained by police. Some of those arrested were subsequently charged with vague crimes against the State, based on insufficient or non-existent evidence. Many more have had no charges brought against them yet have faced intimidation, detention and administrative sanctions for their work. Stop any form of suppression against Li Wenzu and their child. You can read previous statements of concern for Mr Wang and other victims of the 709 Crackdown here.